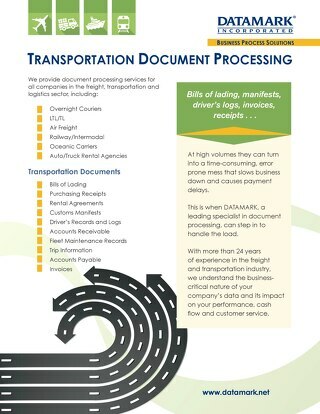 From trucking companies to overnight couriers to car rental services, any business that involves the transportation of freight or people will generate a mountain of paperwork. 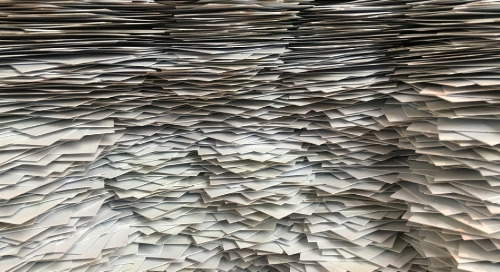 This ever-growing mountain includes bills of lading, air waybills, customs manifests, rental agreements, invoices, packing lists and insurance certificates, to name a few. 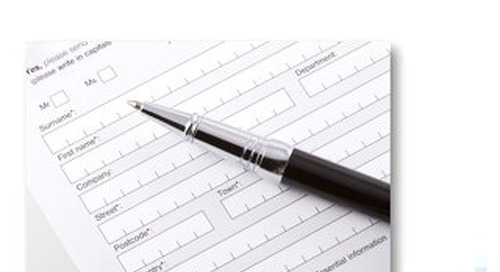 At some point executives of transportation and logistics companies will need to decide if they can continue to process these documents in-house or if it would make better sense to turn the function over to a specialist provider. Companies that offer this type of service fall within the umbrella of the business process outsourcing (BPO) industry. 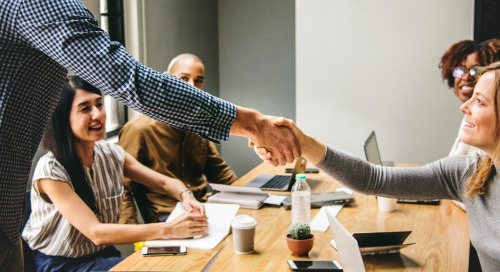 The BPO service for transportation companies may be described in different ways: transportation document processing, freight process outsourcing, and logistics process outsourcing are some terms that are used in the industry. First is labor cost reductions, which can be attained by scanning the documents and transmitting digital images to communities or countries with lower costs of living. 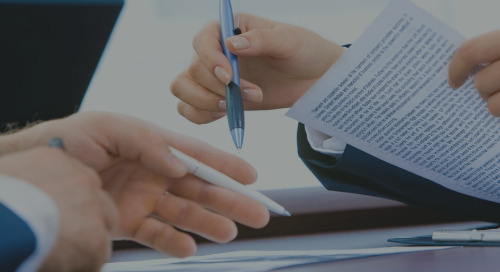 Distributing the documents across different parts of the globe can also result in improved 24-hour processing. The work can be done during morning and afternoon shifts, rather than overnight shifts where staff may be difficult to recruit and more apt to make processing errors. 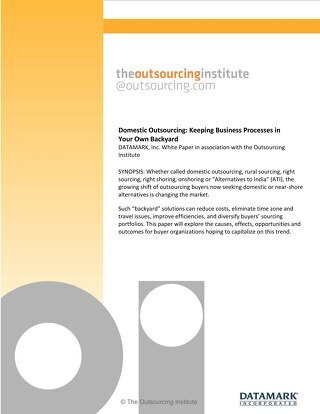 The second benefit to consider is the business process improvement expertise of the service provider. 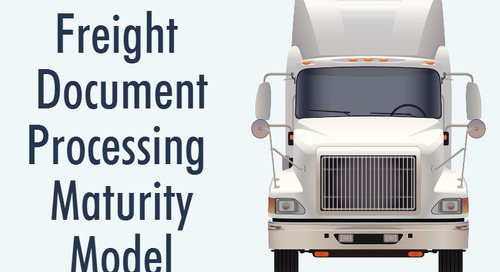 Whereas trucking companies and overnight couriers, for example, are experts in delivering freight on time, they may not have the time, resources or even the interest to do an end-to-end process mapping and analysis of their freight document workflow. 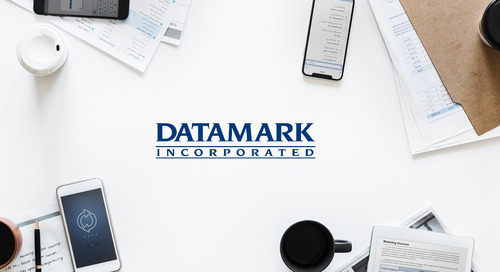 A service provider like DATAMARK has a team of business engineers who are eager to take on a task like this. 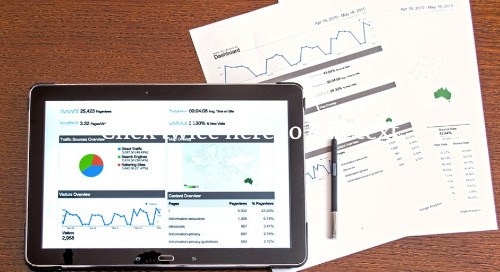 Business engineers will document the existing process, identify and eliminate wasteful steps, and redesign the process to improve efficiency and turn-around-time. 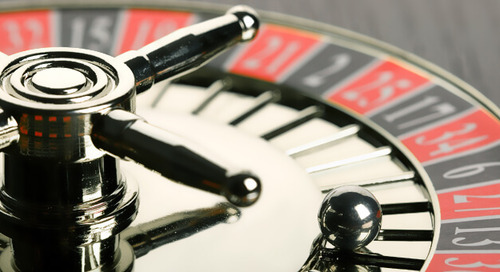 The third and final benefit we’ll address in this article is the opportunity to introduce automation into the process. Today’s optical character recognition (OCR) and automated classification software platforms are much more powerful and accurate than they were a decade ago. 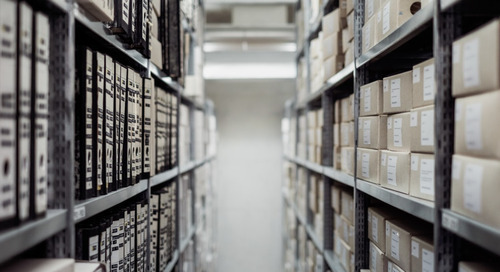 With the availability of cloud computing, these platforms can harness the combined power of multiple OCR engines to identify information on the unstructured, semi-structured and non-standard forms encountered in the freight and transportation industry. Regarding these next-generation intelligent form recognition platforms, one must seek the right balance between productivity, accuracy and cost. Incorporating more OCR engines and more computing power raises the price of automation. 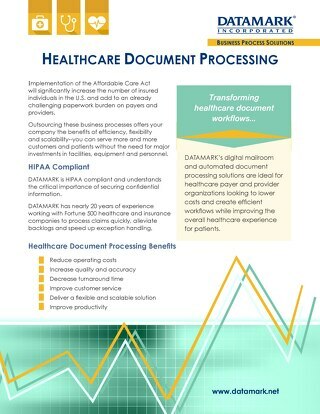 Finding the best solution for transportation document processing requires a deep dive into the workflow and a careful cost-benefit analysis and evaluation of the options available in an outsourcing arrangement. 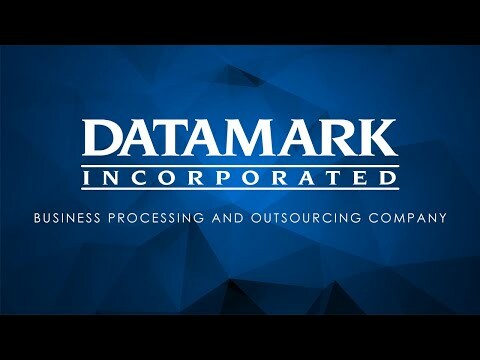 A savvy first step for companies considering outsourcing is a complimentary high-level Business Process Analysis by DATAMARK’s business engineering team. Take that first step and contact us. 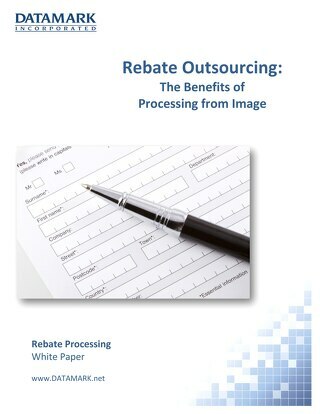 The post Transportation Document Processing: Three Benefits of Outsourcing appeared first on Outsourcing Insights.